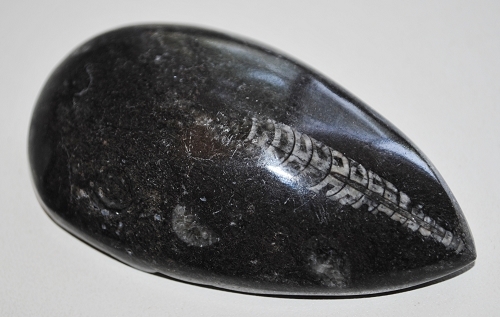 Beautiful dark grey matrix containing the contrasting light grey fossilized remains of Orthoceras. Orthoceras was an ancient mollusk that lived more than 400 million years ago. The name Orthoceras means “straight horn”, referring to the nautiloid’s characteristic long, straight, conical shell “orthocone”. 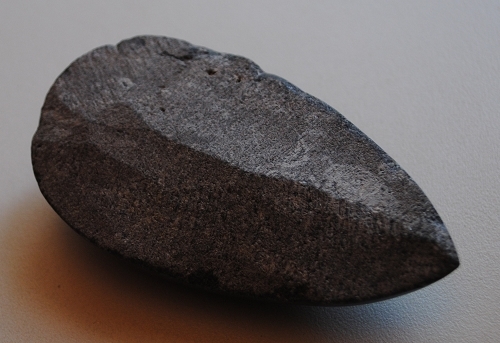 The preserved shell is all that remains of this ancestor of our modern-day squid. 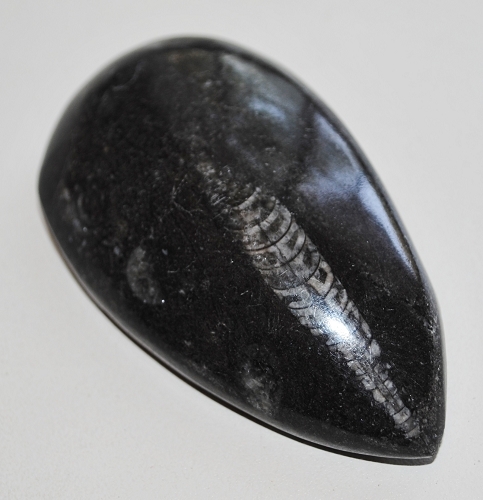 Orthoceras fossils are common and have a global distribution, occurring in any marine rock, especially in limestone. Squid, octopus, cuttlefish, and nautilus are predators, and we can assume that their ancestor orthoceras, was also a hunter in the waters of the Paleozoic seas. Orthoceras were among the most advanced of the invertebrates having a sophisticated nervous system, eyes and jaws. They swam freely using a jet propulsion system, squirting water from their bodies. They had a tube that runs down the center of their body that was used to carry air into the chambers to control the buoyancy of the shell. 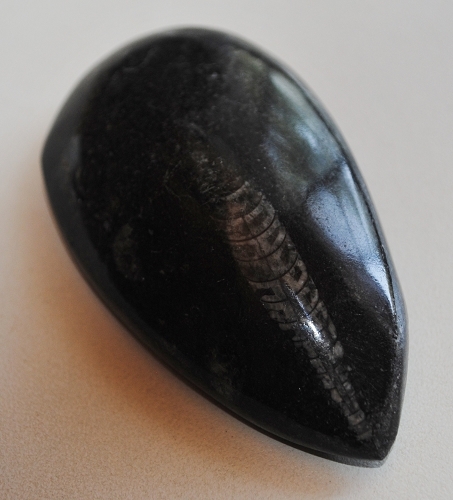 Metaphysically, Orthoceras may be used to enhance telepathy. Orthoceras supports business and one’s personal environments by aiding and allowing recognition of one’s accomplishments. Orthoceras may stimulate the thymus, for the treatment of atrophy and disorders of the skeletal system, hands and feet.